Paul Beck was born in Philadelphia on May 10, 1845, the son of Henry Paul Beck (Class of 1820) and Emily Dwight. 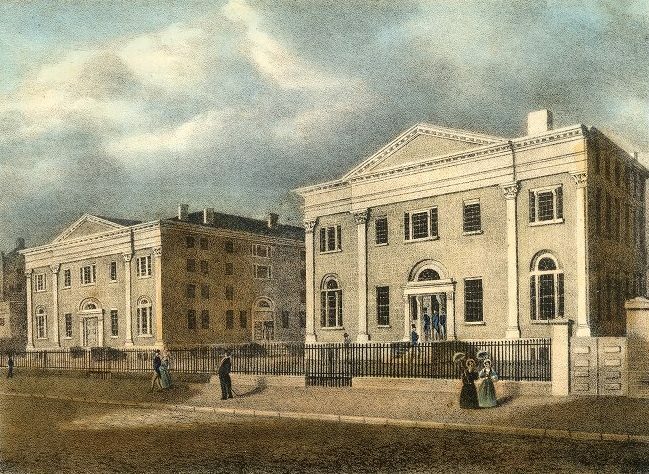 Beck entered the University of Pennsylvania in 1861 as a member of the Class of 1865, but left at the close of freshman year. During his year at Penn, Beck was a member of Delta Psi fraternity. After Penn, Beck studied at the Philadelphia Polytechnic College in 1862 and 1863, cutting short his education again to serve as a private in the Thirty-Second Regiment of the Pennsylvania militia. After his Civil War service ended in 1865, Beck studied at Yale University’s Sheffield Scientific School. By 1874 he had returned to Philadelphia and was established as an architect associated with Frank Furness. After his 1876 marriage to Frances de Navarre Tracy of New York, Beck moved to New York City and worked for a time in the firm of McKim, Mead, & White. By 1882 he had launched his own firm, keeping offices on Broadway in New York through 1892, when he returned to the Delaware Valley. Beck died on February 17, 1917, at his home, Galen Hall, in Wernersville, Pennsylvania. He is buried in Philadelphia’s Laurel Hill Cemetery.